CHARLO, NB – Shiretown Beer has announced that a second brand will be joining its flagship Blonde du Quai on liquor store shelves in New Brunswick this week. Siren’s T’ale is described as a “bittersweet red ale” with 5% abv and 30 IBUs. As noted last month on the Atlantic Canada Beer Blog, it has been available for growler fills at the brewery for several weeks, but this release will make it available across the province. 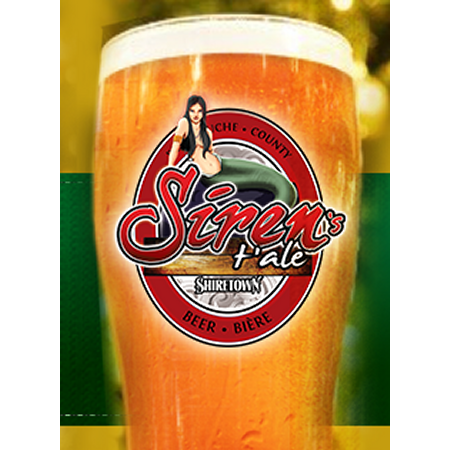 Shiretown Sirens T’ale will be available in 500 ml bottles at ANBL locations. Price and and a list of locations that will be stocking the beer are yet to be announced.